TotallyTot | Creating Innovative Solutions for Everyday Women: Being Fearless in Fashion! 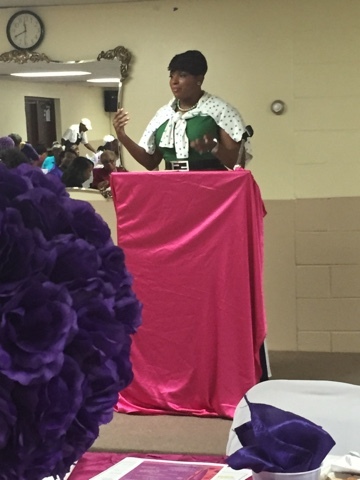 This past Saturday I attended a Women's Prayer Brunch and . I was asked to be the Fashion Commentator for their mini Fashion Show for their upcoming women's day. 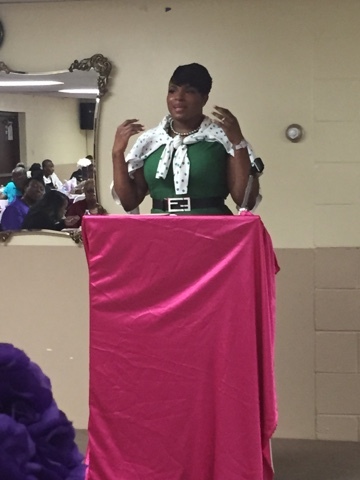 Now as the fashion commentator I was told I could give some fashion tips and talk about my blog, but I instead was led by God to discuss being fearless in fashion for HIM! 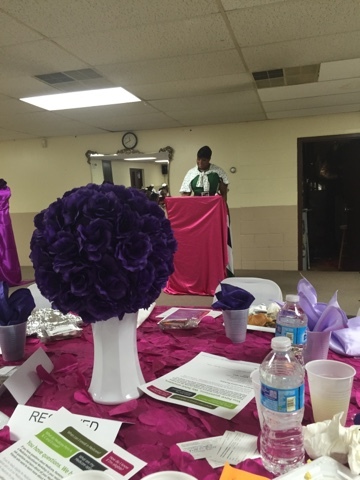 The theme at the brunch was Women at the threshold of greatness and how can we be great if we are afraid?! The word of God says that God has not given us the spirit of fear, but of power, love, and a sound mind! So, why not approach fashion in a fearless way because of HIM. I honestly think of Sunday mornings as preparing to go on a date with God. Although I commune with him on daily basis, I imagine God calling me up saying I have something special for you. I have something good for you. TODAY IS OUR DATE. I've even picked out your clothes, all you have to do is show up with an open heart. So when I am getting dressed, especially on a Sunday, my approach is that it’s time for OUR SPECIAL DATE!!!! HE is my EVERYTHING, so why wouldn’t I give Him 100%! Why wouldn’t I be fabulous for Christ? 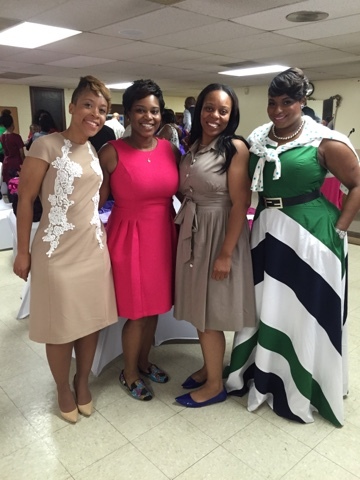 This brunch was a beautiful event with over 150 beautiful women of God. I left so encouraged and inspired by their poise and grace. 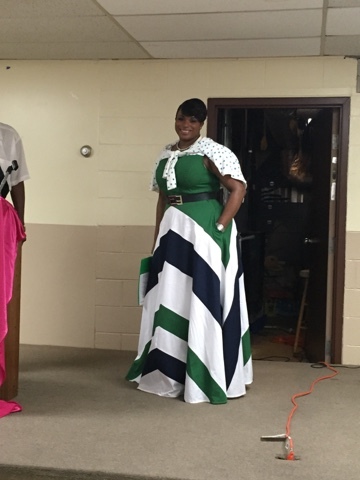 Here's a few pictures from the brunch and of course afterwards I had a little photo shoot to show off the fab dress! Here I am, speaking about being fearless in fashion! The beautiful women of Mount Caramel that were apart of the Fashion Display!! My dear friends Michele, Shannon, & Mary! 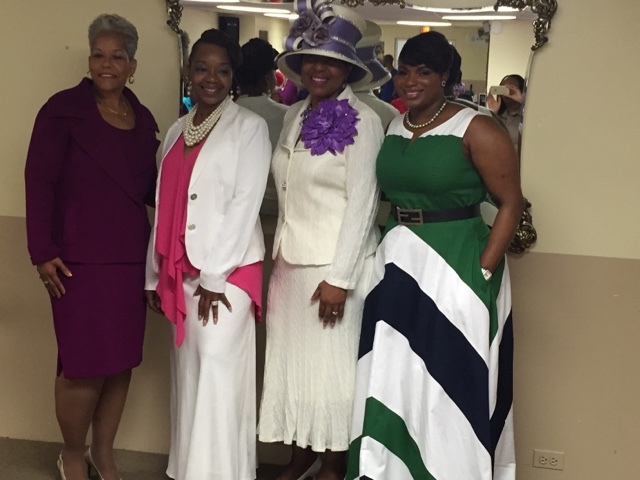 Michele so kindly invited me to her church to be apart of the brunch! This lovely dress is from Eshakti! If you use this link you can get $40 off of your first purchase of $70 or more!! !I love this website as they have some of the most beautiful dresses and you can order the dresses according to your measurements as well. I ordered this dress standard size and as you can see it fit perfectly!!!! I paired it with the classic Fendi belt to provide a small POP and the polka-dot cardigan flowed perfectly with the chevron stripes of the dress. Don't forget if you want $30 off a $70 purchase at Eshakti you can click HERE! Loved this lovely dress from Eshakti.com! Look under 40% off sale! "A special date with Christ " , I love it !!!! The dress is actually on sale at eshakti.com! Eshakti! This is life! I love that site I used to go on it from time to time. I haven't brought anything from it. Maybe I can find something for winter. Umm I will see. I just got this concept of Date Sundays with Christ about a couple of weeks ago. I am going to pursue even more. I can't wait to see the results.